In light of John Simons’ post about teaching worship, I wanted to highlight a few resources that might be helpful for a pastor or ministry of music who wishes to follow his advice. 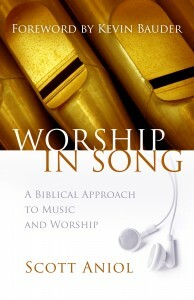 Dr. Simons mentioned that he used my book, Worship in Song: A Biblical Approach to Music and Worship for part of his class. This book, published by BMH Books in 2009, provides discussion of many of the subjects mentioned in his post, including the nature of worship, a history of the development of worship and music, aesthetics, and musical meaning. How Can We Making Musical Choices? How Should We Think About Sunday Morning? 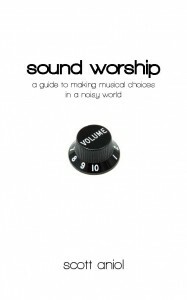 I have also prepared a Teacher’s Edition of Sound Worship, which contains the full text of the book, plus 14,000 additional words of explanation, illustration, application, and discussion so that pastors, teachers, small group leaders, and families can use the book in teaching settings. The edition also includes reproducible study guides and handouts. The other great benefit of the Teacher’s Edition is that it integrates both Sound Worship and Worship in Song, making this resource a powerful tool for teaching biblical principles about worship and music in your local church.